The road of nutritional advice is paved with gibberish. People have been advised to do things that make no sense whatsoever. A number of this advice is not just ineffective; it could also be dangerous. What's so terrible is that a big portion of this inaccurate advice continues to be given today. Below are five pieces of nutritional advice that could possibly be the worst advice ever given. Eggs are one of the foods that contain the highest amount of nutrition in the world. An egg includes all of the nutrients necessary to create an actual chicken from one cell.But there's an issue: the yolk of the egg has a high amount of cholesterol. Since the yolks have a high amount of cholesterol, many people thought that consuming them would raise their own cholesterol. Because of this, mainstream nutrition experts started to advise we only consume between two and six eggs each week. Most professionals agree that it is safe to consume more than six eggs per week if we avoid eating the yolks. Throwing away the yolk of an egg is the stupidest decision possible. The egg yolk is the part of the egg that is full of nutrients. The egg whites are pretty much simply protein. 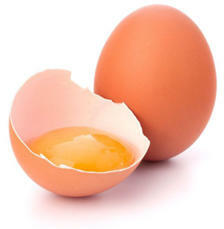 There have been a lot of studies that tried to find a link between eating the entire egg and having high cholesterol. The findings show that in seventy percent of individuals, eating eggs has no impact on their levels of cholesterol. In the other thirty percent of people who consumed the whole eggs, their cholesterol was raised. However, it was the good kind of cholesterol (HDL), which isn't harmful at all . There were actually a lot of studies - some even looking at hundreds of thousands of participants - that found zero association between eating the whole egg and the risk of heart disease in individuals who were healthy. Eggs are full of good protein, vitamins, antioxidants, and healthy fats; almost all of the nutrients needed by the body. Eggs contain a high amount of choline, which is a nutrient for the brain that almost all people have a deficiency of. Eggs have both lutein and zeaxanthin, strong antioxidants that help bring down the risk of eye diseases. They are additionally one of the best foods to consume if you're trying to lose weight. Switching out a breakfast based on grains for a breakfast of eggs can make you feel full. If you eat foods that make you feel full, you will eat less, which helps with weight loss . On top of all of that, eggs are inexpensive, easy to make, and have a wonderful taste. When you think about it, the entire egg is basically the perfect food. Just don't throw out the yolk. The commonly given advice to consume a diet that is low in fat was never based on scientific evidence. At first, it was based on a small number of studies that were not conducted properly, animal testing, and foolish political choices. There has never been any solid evidence pointing to the fact that saturated fat results in heart disease. However, some professionals were positive it was dangerous and that heart disease could be prevented by eating a diet low in fat. For decades, the official stance of popular health organizations and the government has been that heart disease is prevented by a low-fat diet. During those decades, the rates of type II diabetes and obesity have grown tremendously. There have been a lot of big studies done on low-fat diets. The major, most costly diet study ever done was The Women's Health Initiative. This study randomly placed 48,835 females into eating groups. One group consumed a diet low in fat, and one group consumed the normal Western diet. Eight years later, a single pound was the only difference in weight. There were zero declines in cancer and heart disease. Even though many studies have found the same results, low-fat diets are still advised by the majority of people. In reality, the low-fat diet does not work. In studies, almost every time it's compared to a different diet, it loses. Even people who have diabetes are recommended to eat according to this diet. The results of this only benefit the drug companies, not the diabetic individuals. 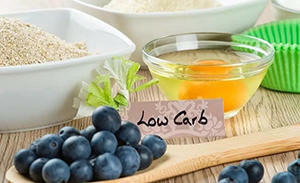 It is simply the truth that carbohydrates cause a rise in blood sugar. More carbs make diabetic individuals depend on drugs that lower their blood sugar. While diets low in fat can be permissible for individuals who are healthy, these diets are a total train wreck for those who suffer from metabolic syndrome, type II diabetes, and obesity. Actually, a lot of studies have shown that diets low in fat can negatively impact some risk factors for heart disease and metabolic syndrome. They can raise triglycerides, increase dense LDL particles, and lower HDL. The majority of health professionals need to stop recommending the insane low-fat diet and express regret over the horrible harm it has caused. To find a diet that is right for you, always consult with your healthcare provider. He/she can help you find a suitable lifestyle plan and may also recommend taking a nutritional supplement as well. The intense concentration on calories is a massive nutritional mistake. The belief that the amount of calories matters more than the type of food those calories come from is just ridiculous. Of course, calories are important. Just because they are important does not mean they need to be counted or made the focus of our diet. In fact, the human race was at its healthiest before they were made aware of the existence of calories. We must understand that varying foods have varying effects on hormones. They have different effects on the parts of the brain that decide what we eat, when we eat it, and the amount we consume. 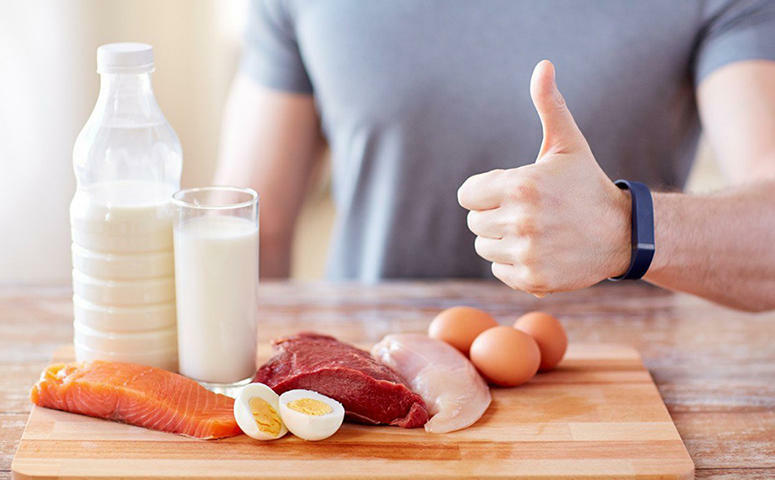 Protein: Consuming a diet high in protein may raise the metabolism by up to one hundred calories each day. It may also greatly diminish cravings and hunger. Carbs and fat calories do not do this. Satiety: A lot of studies have found that diverse foods have different impacts on feelings of satisfaction and fullness. You would have to consume many more calories from ice cream to feel full than calories from eggs. Many more examples of varying foods and macronutrients and their impacts on both hormones and hunger are available.The idea that calories are the only thing that should be taken into consideration for weight is a totally wrong thought. It is common advice to cook with vegetable and seed oils, which contain high amounts of polyunsaturated fats. Oils such as corn, soybean, cottonseed, and canola have been studied and shown to bring down levels of cholesterol. However, just because a food lowers cholesterol does not mean it prevents actual heart disease. Cholesterol is definitely a risk factor. However, it's the end points, such as heart attacks, that are really the cause for worry. In reality, there are some studies that show that even though they may lower cholesterol, these oils may actually raise the risk of heart disease. That's not the only reason these oils are dangerous. They're full of polyunsaturated fats, most of which are Omega-6s. Omega-6 and Omega-3 fatty acids need to be consumed in a balance, and that balance is completely off due to such a high consumption of vegetable oils. Consuming a diet that is high in Omega-6s and low in Omega-3s may cause inflammation. Inflammation is an element of almost every chronic disease. These fatty acids are integrated in cell membranes, but polyunsaturated fats can respond to oxygen and begin a free radical chain reaction in the cell membranes. That may harm essential molecules such as DNA and proteins. Unfortunately, most people do not understand that these types of oils are full of trans fat because of the way they are processed. A study done on U.S. soybean and canola oil concluded that up to 4.2 percent of the fatty acids in them were trans fats. A number of "experts" still advise cooking with these oils. That is horrific advice, since polyunsaturated fats damage very simply with heat exposure. Mainstream advice has been wrong so many times. One of the worst examples of this is the advice to stop using real butter and switch to processed margarine instead.Margarine is not food. It's a mixture of chemicals created to taste and seem like real food. Margarine, just like vegetable oils, increases heart disease. Since studies show that these processed oils and fats raise the risk of heart disease, common sense would tell us to avoid them, right? Apparently that's incorrect, if you listen to the nutrition organizations that are still advising we eat them, regardless of the results of many studies. It just doesn't make any sense. When we remove real foods from our diets and replace them with fake foods, it makes us sick and fat. Just how many mainstream nutritionists is it going to take to come to that conclusion? Looking for nutritional advice you should actually follow? Take a look at this article for eleven foods you should be incorporating into your diet today.